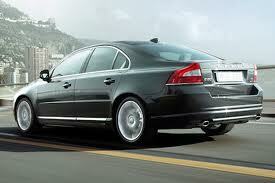 Get a Free Quote on Your UK Airport Transfers! Airport Transfer Service is the company Londoners and UK travellers have used for over 20 years! For additional details, please contact us at any time. We're available 24 hours a day, 7 days a week, and 365 days per year. For answers to common questions, please read our FAQ section. If you have any oversize luggage, please specify in the journey notes field. If you require a child/booster seat please specify the age of the child.